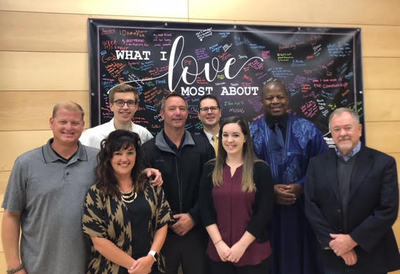 Breakfast on the Hill was amazing - - proof of the lasting impact engagement and connection with our community has on our student body! So thankful for the alumni who shared their experience as students, teachers and parents in the PHSD. Special thanks to our Honorary Chairs Lori & Adam Griffiths, Zac Tendick, Lindsey Steigleder,Tim Fitzpatrick and Nathan Faber. Huge thanks to our emcee Vice Principal Erik Hoberg - you even got us out of there on time! Words cannot express our gratitude for our talented and inspirational Keynote speaker Lou Radja, who also delivered an inspiring presentation to our High School students! Thanks to all of those who attended and supported PHEF at this morning's event -- none of this would be possible without your contributions. Due to your generosity we raised just over $30,000.00. For those who attended & those who couldn't make it, hope to see you next year!